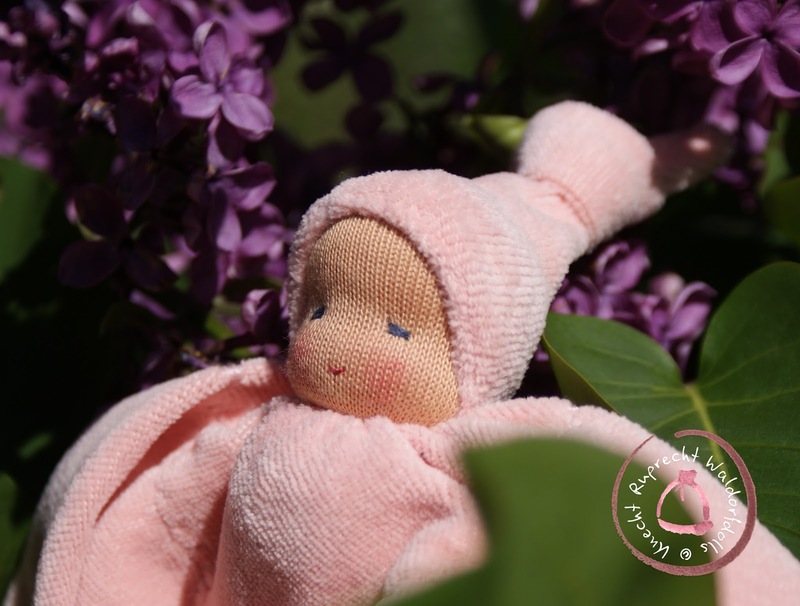 Snuggle Doll according to waldorf pedagogy with soft cuddly body and a pixie hat made of GOTS certified organic cotton. This Knecht Ruprecht Snuggle Doll is very soft and cuddly and individual handmade in my Atelier in Austria with love and great attention to detail. A snuggle doll is a good choice for a first doll. It has a soft, cuddly body and a pixie hat, and it can easily be taken along everywhere. It can be wrapped in its own cuddly body fabric and thus be in bed, and it takes on trusted, comforting scents to have nearby where ever one goes. An old piece of wisdom from a midwife: When a mother carries a Snuggle-Dolly with her; at best, next to her skin before giving it to the baby, it has a calming influence. Not only is the form of the doll important but also the materials from which it is made. Natural fabrics such as cotton, cotton-velour, cotton-velvet, silk and wool knits give pleasure to the senses of the little hands. 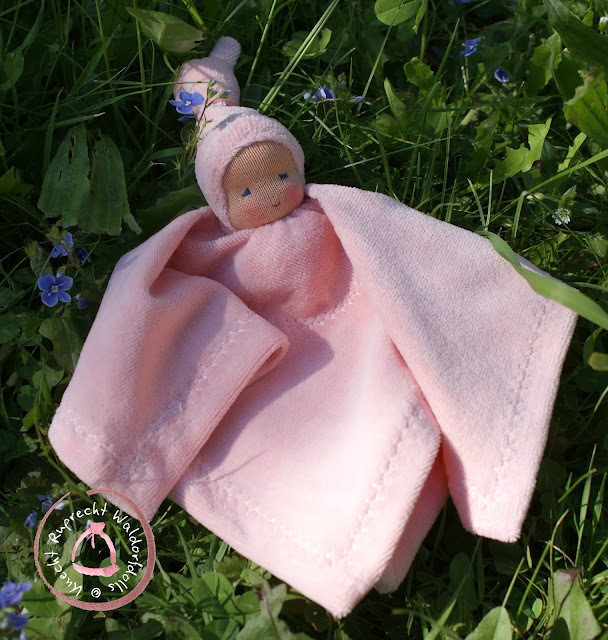 This Knecht Ruprecht Cuddle Baby is filled with pure wool fleece which is naturally antibacterial, self-cleaning and is not easily flammable, to name but a few of its advantages. The wool takes on the body heat of the child and returns it in kind, giving it a living feeling. Only the most exquisite materials made from all natural fibers and organic materials are used. I use GOTS (Global Organic Textile Standard) certified organic velour fabric made from pure cotton for the body and the cap. I fill the head and body part with pure wool fleece. The head is sculpted in the traditional Waldorf style and facial features are hand embroidered with GOTS certified organic cotton thread.